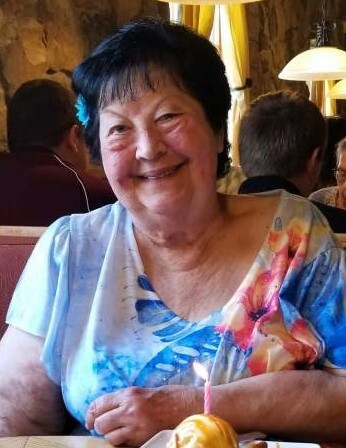 Frances Peterson, age 73 of Monticello, passed away on Wednesday, April 3, 2019. She is preceded in death by her husband, Donald and parents, Edward and Anastasia Lange. Frances is survived by her children, Lisa (Norvil Moulzolf) Vaughn, Tammy (Randy Oberg) Tischner, Melissa (Brian) Woods, Christian (Tanya Vokaty) Peterson; grandchildren, Jessica, Justin, Joseph, Chad, Caleb (Ashley), Alesha (Jeremy), Jared (Danielle), Jared, Jennifer (Adam), Jacob, Anastasia and Parker; 16 great grandchildren; sister, Margie; brother, Jerry; and her beloved dog, Mitsy.